The Designing 007 exhibition runs from April 16th to September 4th, 2016 at the Grande Halle de la Villette in Paris. This spring, the Grande Halle de la Villette will host James Bond 007, the exhibition, 50 years of Bond style, a multisensory experience in which the iconic stars, costumes, vehicles, gadgets, special effects, illustrations, exotic locations, weapons, stunts and accessories combine to immerse the visitor in the heart of the process of creation and development of Bond style throughout its 50-years history. The exhibition layout shows the Bond universe through different angles: the movies opening sequences, foreign territories, Ian Fleming's creativity and of course the Q section. Visitors will be able to discover objects from the shooting of Spectre on display in this exhibition for the first time including the Aston Martin DB10, Daniel Craig's cream dinner jacket, the satin dress worn by Léa Seydoux, Q's personalised laptop used by Ben Whishaw, Monica Bellucci's corset and many more. 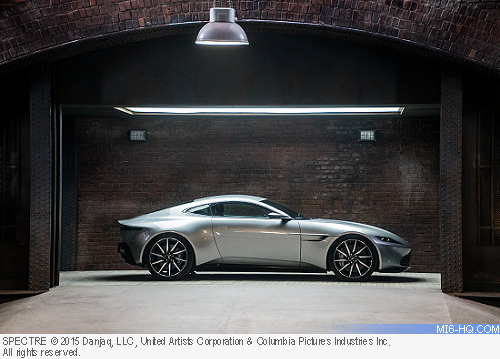 Since its successful debut at the Barbican Centre, London, in 2012, Designing 007 has been presented in Toronto, Shanghai, Melbourne, Moscow, Rotterdam, Madrid and Mexico City. 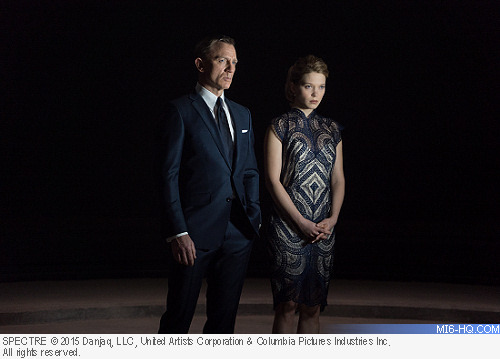 James Bond 007, the exhibition is the result of the collaboration between the Barbican Centre, London, and the producers of the James Bond franchise, EON Productions. It is a unique exhibition, guest-curated by fashion historian Bronwyn Cosgrave and Oscar-winning costume designer Lindy Hemming and is designed by Ab Rogers who all had unprecedented access to EON's production archive.